Sookie Stackhouse is recovering from the grand battle she was forced into between fairies, faires and vamps. She is finally finding herself in a relationship with vampire sheriff Eric and in general all seems to go well - right until all the problems surface. Eric's maker shows up with Eric's "brother", Bill needs blood from his blood sibling in order to recover from the previous fight, and fairy Claude is feeling lonely. The two-natured are out and about and not all are accepting the shifters. I wasn't terribly impressed with the 10th book of the Sookie Stackhouse series. It doesn't span a very long time and as such, not all that much really happens. After reading it I sit with a slightly empty feeling. Mostly it just wraps up loose ends from book 9 - Dead and Gone, and tells us how various people are moving on with life. Sookie as always is a horny danger magnet and after 10 books of her getting into a whole lot of bad situations and coming out of them again, battered but alive, it is starting to get a bit old. There are some good new additions to the story both character- and plot-wise with the return of Sookie's nephew Hunter, but mostly I can't look away from the glaring big annoyance to me that is Eric's maker. Too much of the book revolves around a character, we've never heard of before and who basically just dominates everybody. The book is still a good read, but definitely not the best in the series - far from it. Totally agree not the best in the series. I still rate it high, because, well Eric is in it. 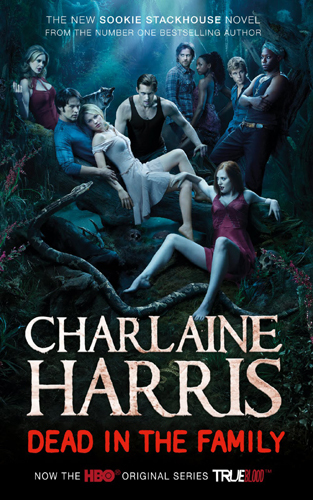 But if the next book is like this I may have to rethink my Sookie addiction. I agree, Eric is a charm, but yeah, if this is the way it's going to roll from now on my interest will fade rapidly.